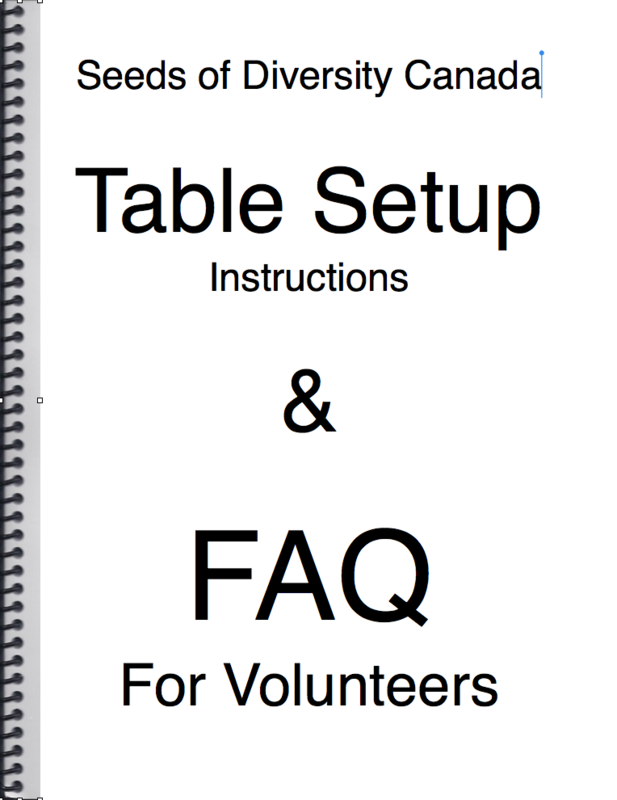 PLEASE read TABLE SETUP INSTRUCTIONS and FAQ FOR VOLUNTEERS. 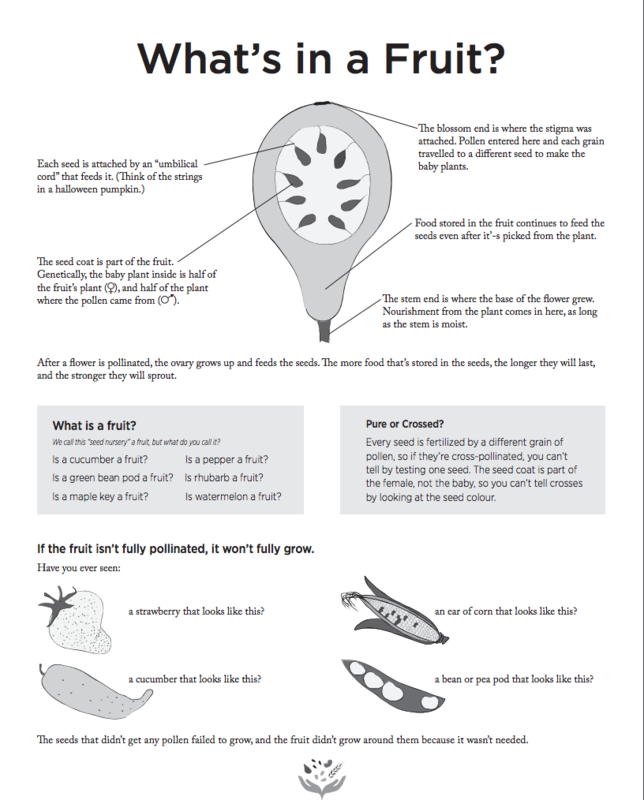 Also available in one document for download, below. 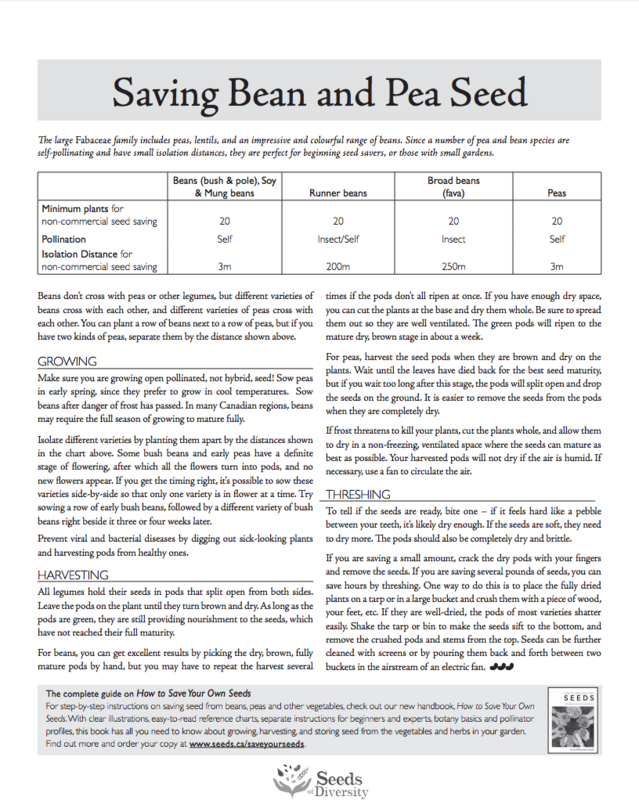 Our Table vs Seed Exchange: There has been confusion about what our volunteers do. 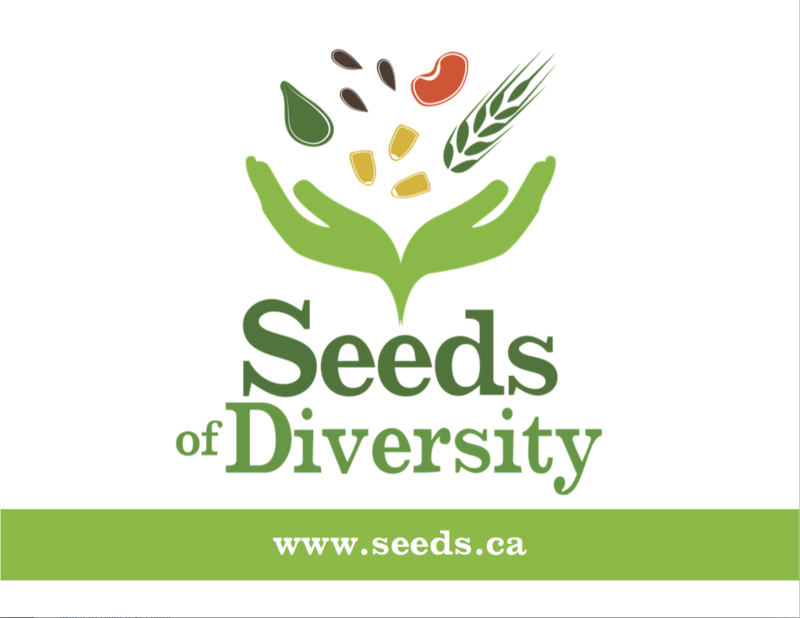 When we recruit you for a Seeds of Diversity table, it is to promote our organization. 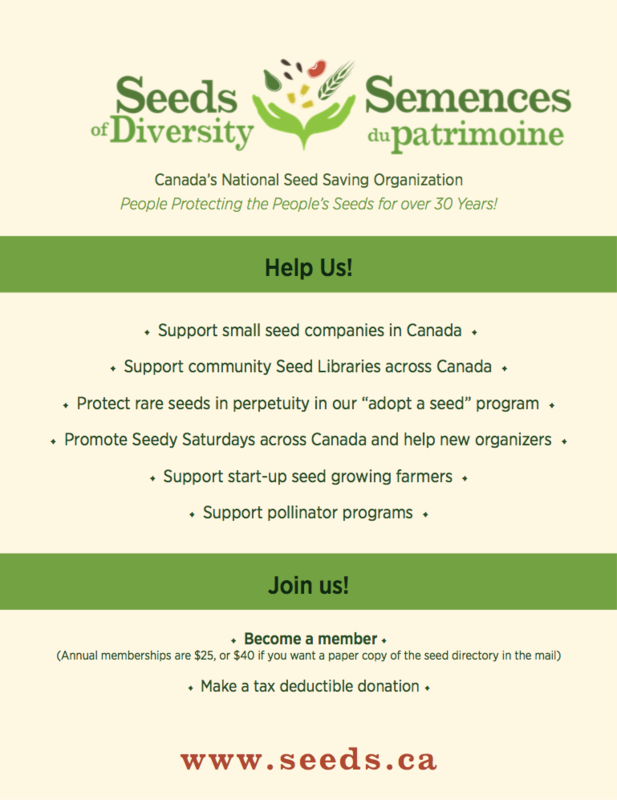 We do not recruit for the Seed Exchange table -- that is up to individual Seedy Saturday organizers. 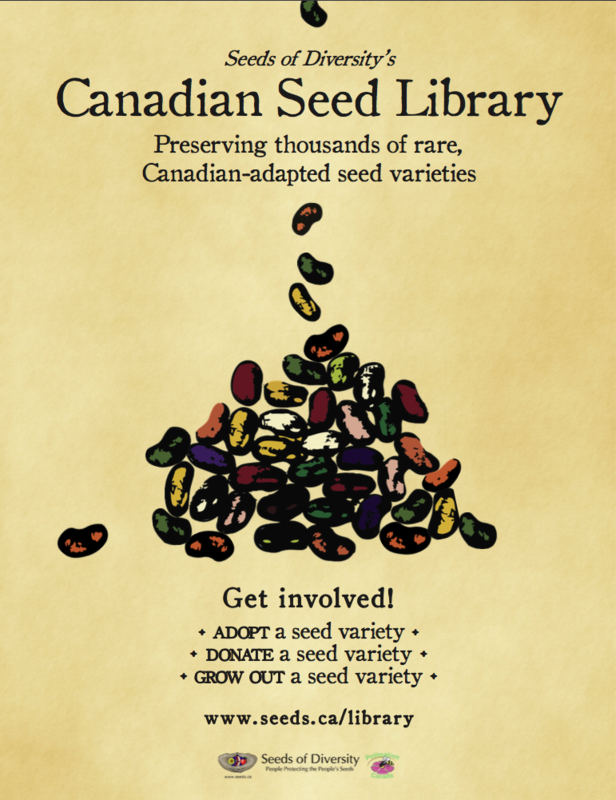 However, we know that the seed exchange table is the heart of the event. 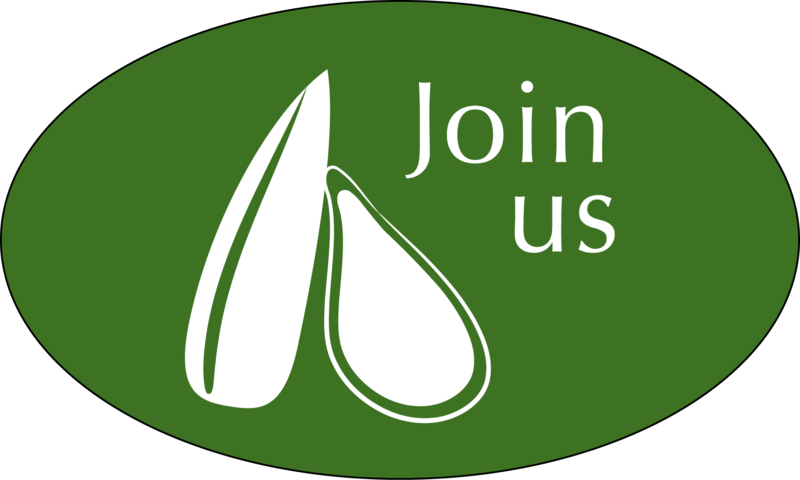 If you accept a speaking engagement on our behalf, the honorarium is yours. 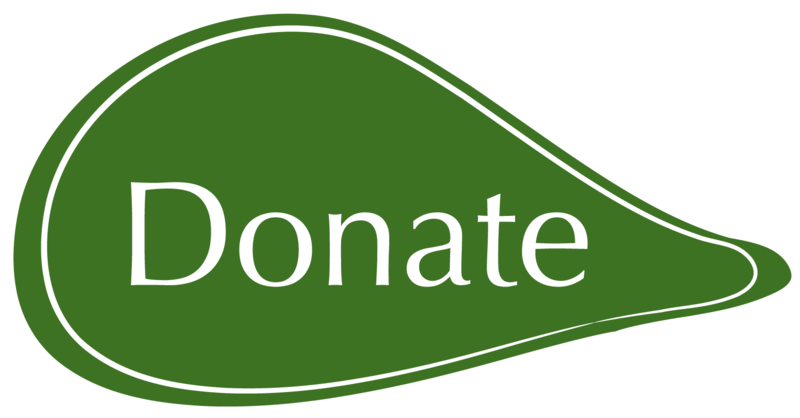 If you choose to donate it to us, we gladly give you a tax receipt. 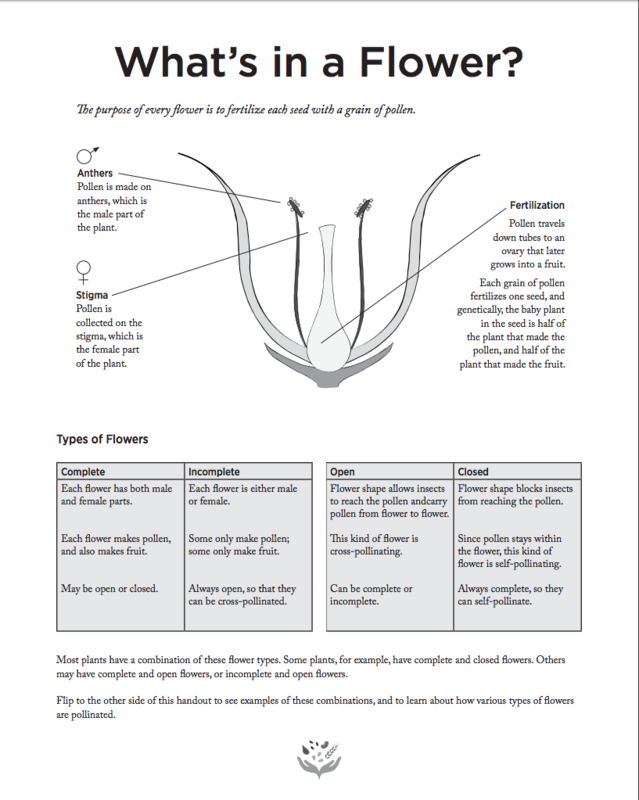 If you have access to a high-quality, colour printer, please print and freely distribute the resources highlighted in this table. 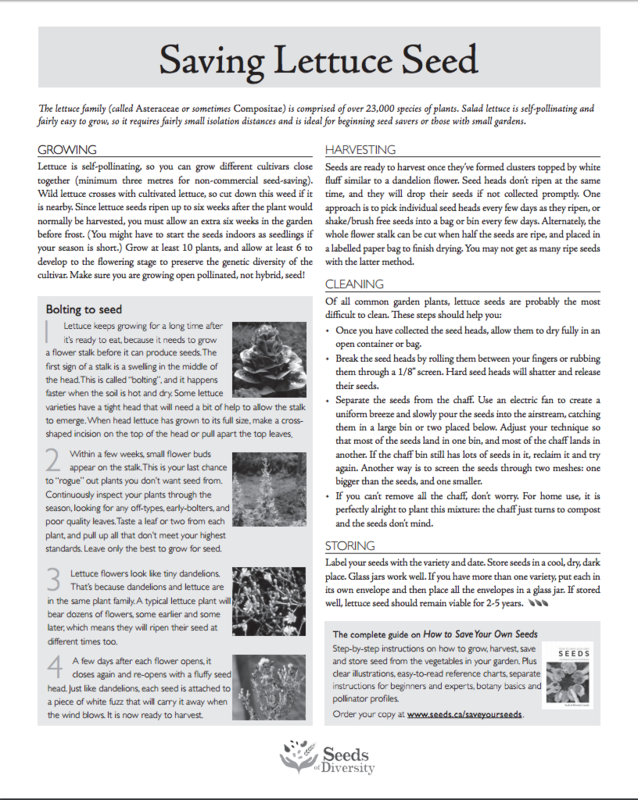 Click on each thumbnail to download. Otherwise, we're happy to mail them to you. 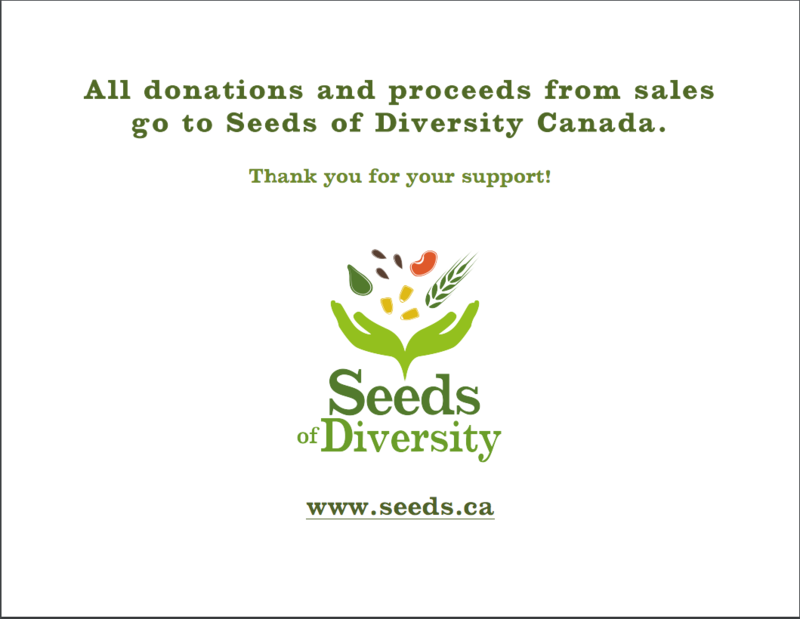 Please email mail@seeds.ca or call us (226) 600-7782. 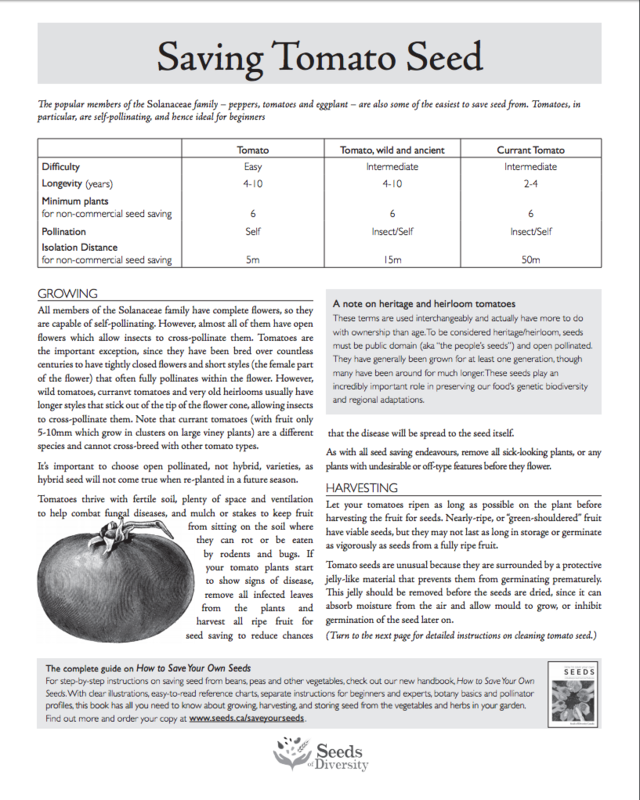 CENTERPIECE SIGN 8½" X 11"
We will mail these resources, as we prefer that they are printed professionally. 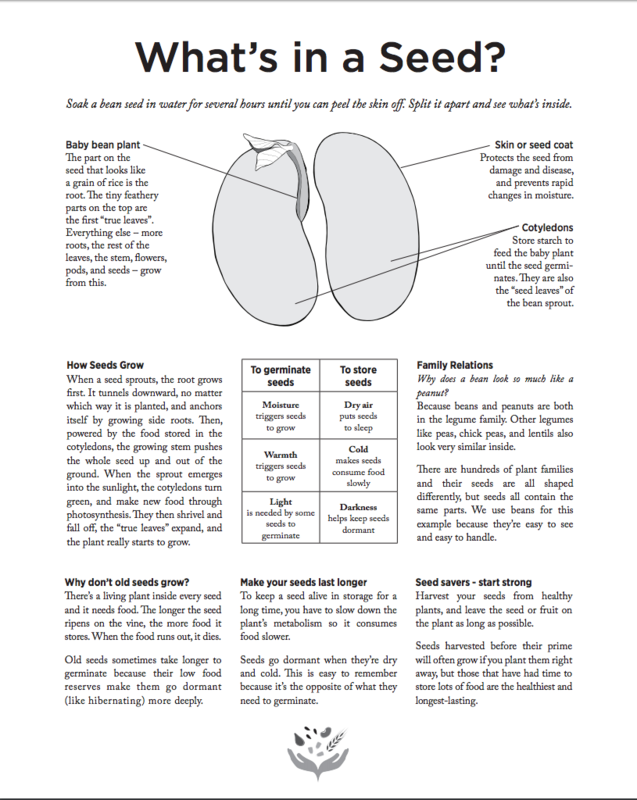 Alternatively, we can coordinate the printing with you, by providing the files and payment. 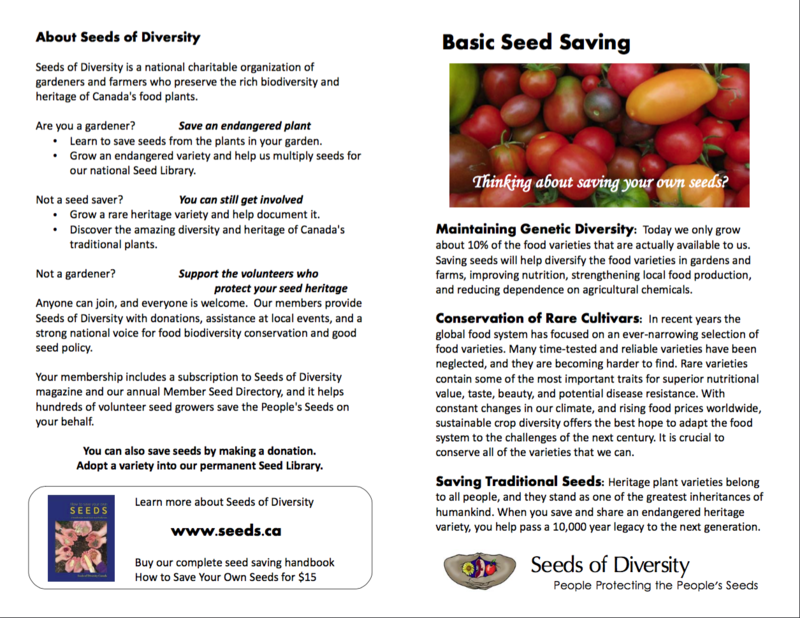 Please email mail@seeds.ca or call us (226) 600-7782. 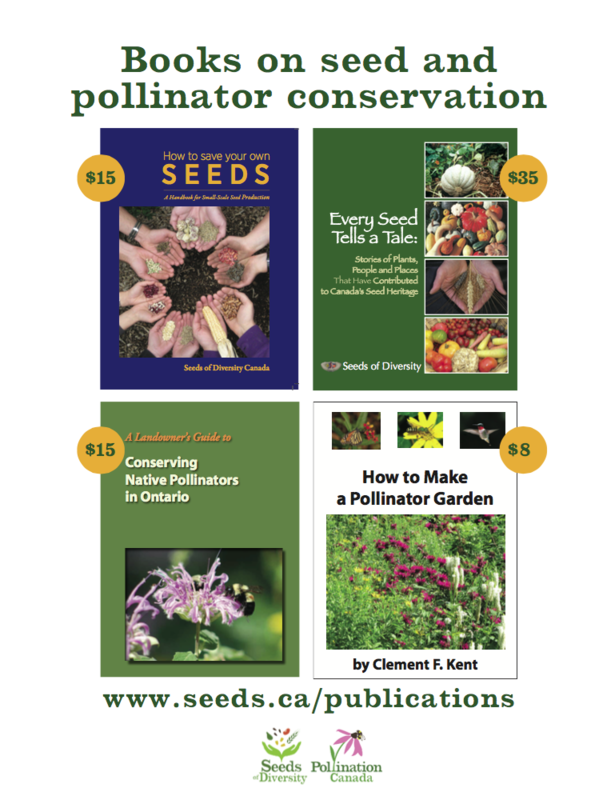 We will mail these resources, as we prefer that they are printed professionally. 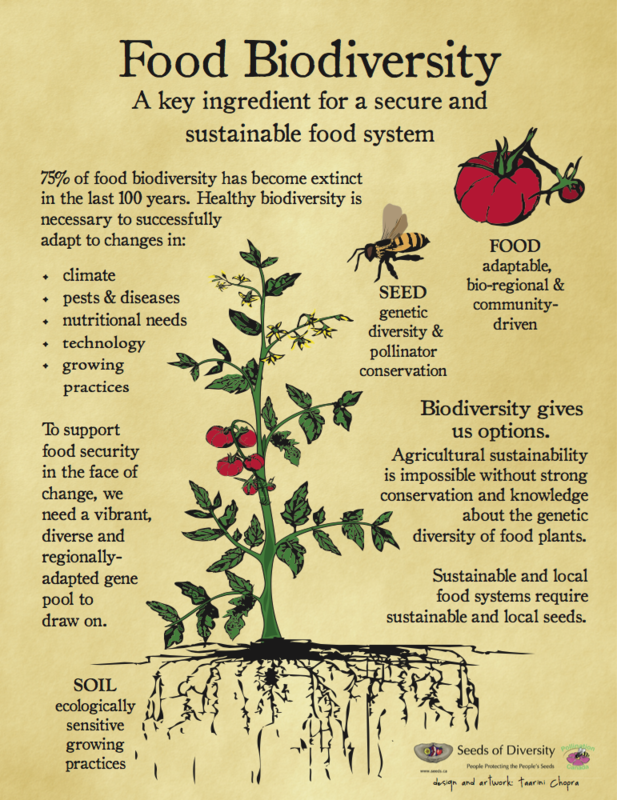 Alternatively, we can coordinate the printing with you, by providing the files and payment. 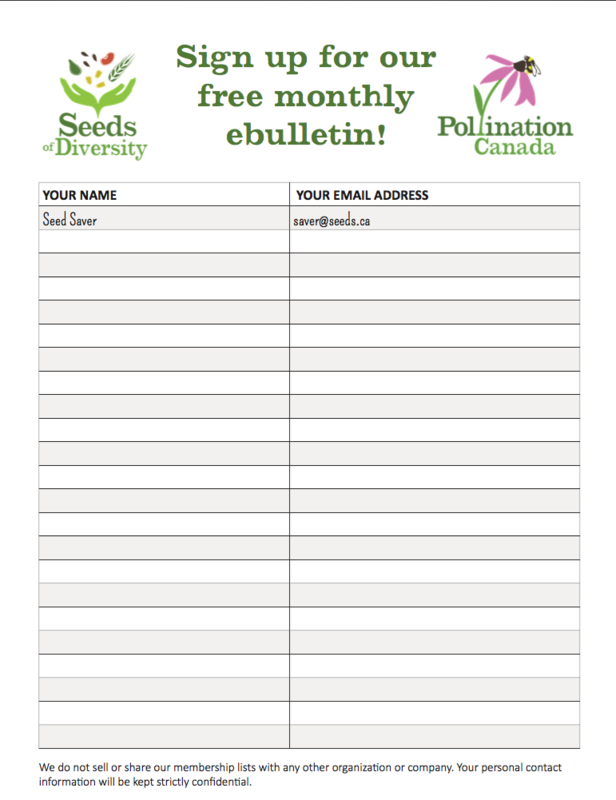 Please email mail@seeds.ca or call us (226) 600-7782.